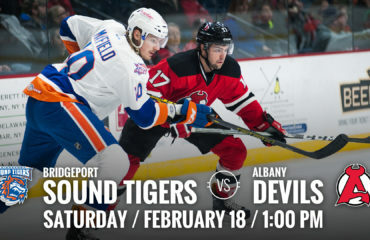 BRIDGEPORT, CT – The Albany Devils finish their six game road swing as they travel to take on the Bridgeport Sound Tigers Saturday at 7 pm at Webster Bank Arena. 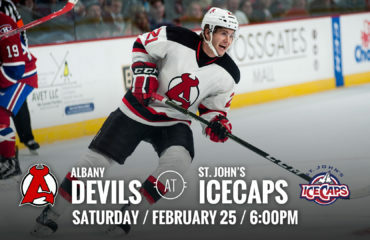 The Devils are coming off a 3-2 shootout win against the Senators Friday. Their record stands at 33-25-1-1. 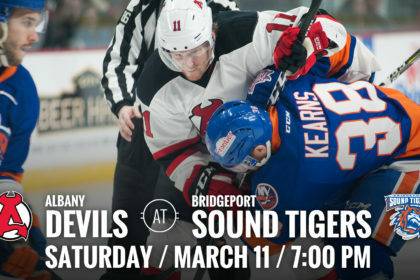 The Sound Tigers are coming off a 2-1 loss against the Comets Friday. Their record is 36-20-2-1. 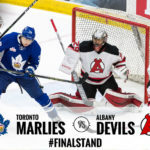 Shootout Hero: John Quenneville was the only goal scorer in the three round shootout against the Binghamton Senators Saturday which lifted the Devils to a 3-2 victory. 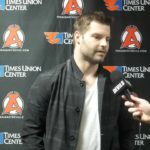 The shootout victory was his second this season as he also potted the winner on October 29 against Toronto. 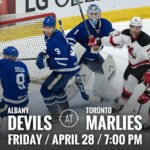 Keep Shooting: The Devils took 44 shots on net in their victory Friday against the Senators. It marked the second most this season, second to the 45 they took against Toronto on Feb 11. In the second period alone, they took 19 shots, which was the second most shots taken in a single period. 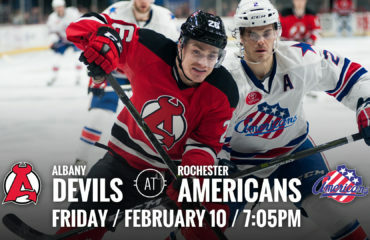 It was just behind the 20 shots they took in the second period in Binghamton on Jan 14. 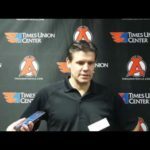 Extra Frame Warriors: The Albany Devils have played in 13 overtime games, including last night’s 3-2 shootout win in Binghamton. 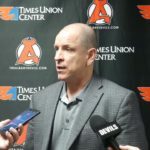 Albany is 8-1 in games that have ended in overtime and 3-1 in games that have gone to the shootout. 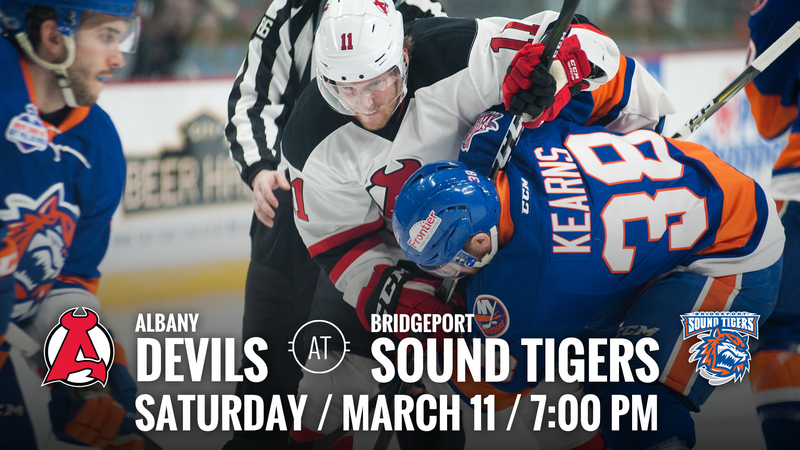 Overall, the Devils are 11-2 in games that have gone past regulation giving them an extra 11 extra points.